Which metro subway map to use from your attachment above to travel around Hangzhou? Should i download Metro Map 2019 or Metro Planning Map ? Hi, Hangzhou Metro Map 2019 is more recommended. How to travel from Hangzhou airport to the east train station? The transportation is convenient. You can take the airport shuttle bus to the East Railway Station directly. Generally speaking, it takes around an hour on the way. How long time take from East Railway Station to Hangzhou train station? It takes around half an hour by taking metro line 1.
i will be in Hangzhou in December 18, mind if i know i will be staying around Fengqi Road Station. 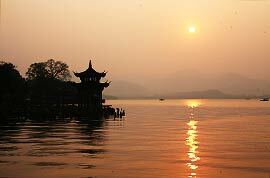 Could you suggest how do i make my way to Hangzhou Airport..by bus, taxi? and how much will it cost? By taxi, the fee is about CNY110 - 120 and the duration is about 30 - 40 minutes. By metro + bus, take the metro line 1 at Fnegqi Road station and get off at Chengzhan. Then walk about 7 minutes to Chengzhan Railway Station to take the airport bus to the airport. The duration is about one hour and the fee is about CNY22 per person. is it possible to bring suitcases on Subway (Shangai or Hangzhou)? Yes, it will be possible for you to bring suitcases on metro. Don't worry.